There are few things that remind me of Mexico more than the taste homemade tamales. One night in San Miguel, a group of us were sitting on a restaurant patio overlooking the Jardin, when a couple women appeared near us selling homemade tamales for a dollar each. Not only were they fresh and incredibly delicious, but they were huge – almost twice as big as tamales you find in the states. Although we conjured up a sizable bill among the group of us, we still felt a little sheepish buying “street food” while at a restaurant…but no one paid us any attention at all! Mr. E bought me a wonderful cookbook when we visited La Posada earlier this month. 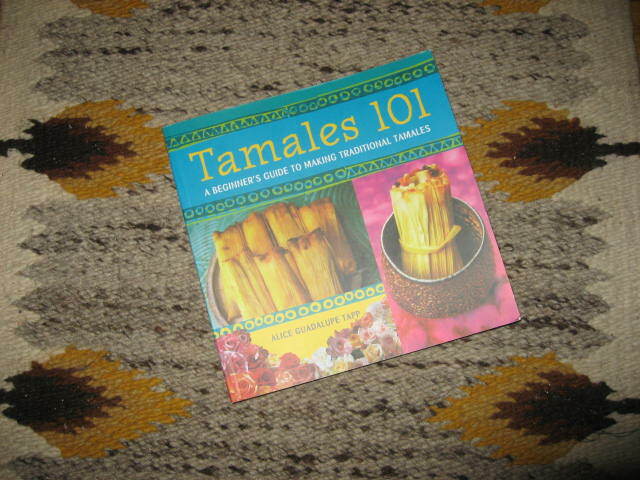 It’s called Tamales 101, by Alice Guadalupe Tapp (published by Ten Speed Press in Berkeley), and although I’ve made tamales on three occasions, I figured that it would actually be perfect for my skill level. I know a gal in town who sells delicious tamales every Wednesday for a really great price! 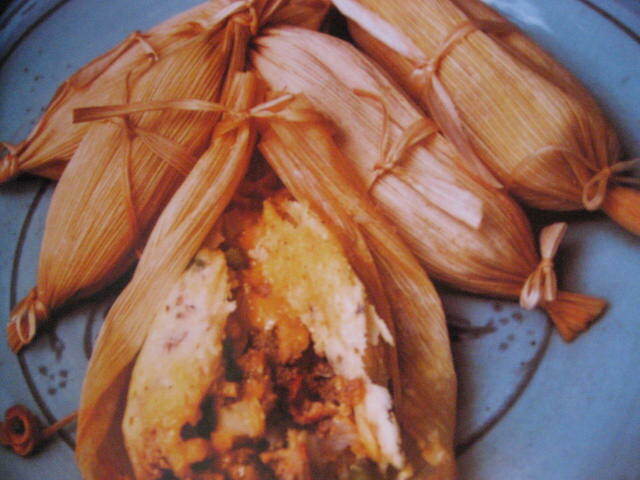 Regardless, I’m still planning to get some friends together and try making the sweet tamales, for sure! ~ by Dawn Elliott on January 26, 2012. There is nothing… like a real tamales. Something about opening these delicious packages and savoring the scent, steam, and the all exploding tastes inside is an experience never forgotten… just like your post! Thank you! Oh they do look good!!!! Have a grand day! I ♥ Mexican food too! a tamale party sounds like a blast! OMG! I love tamales. I’ve made them a few times, but it’s been a while. Great haiku makes my mouth water. Soul food for sure! 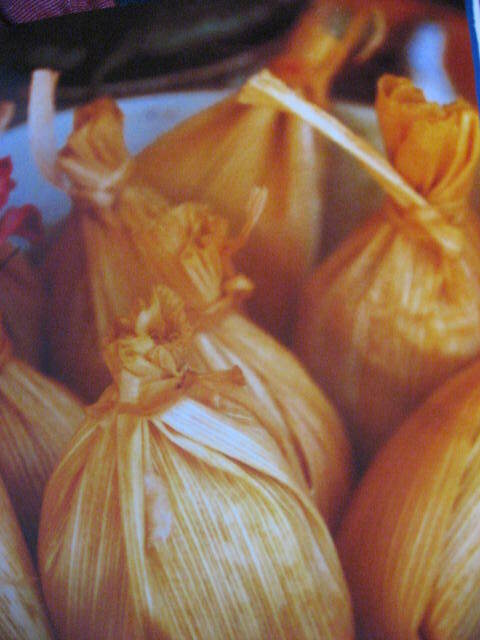 Tamales. A favorite of mine, though I have never personally made them. Living in Los Angeles there are so many excellent markets who sell them fresh. Even Costco these days has some pretty darned good ones. Yours, however, are beautiful and delicious. There is nothing like homemade. finally sitting up….a bit. weary, undone, hanging by a thread but still i can join your praises of tamales! ahhh, tamales – my favorite. I make them a few times each year and freeze them to keep for later. Always YUMMY! Wonderful. 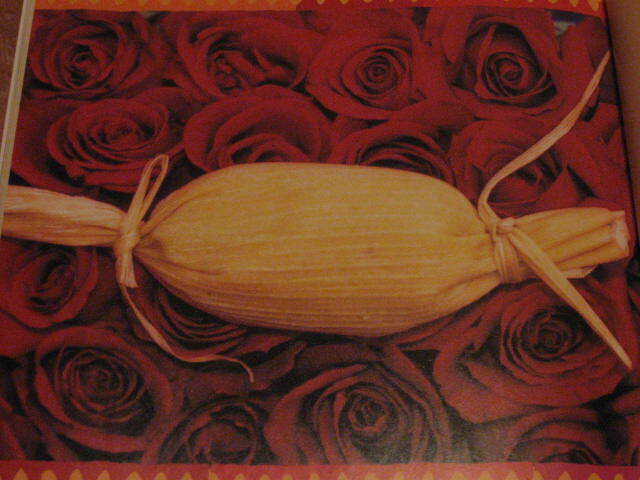 I loved reading your haiku on tamales.